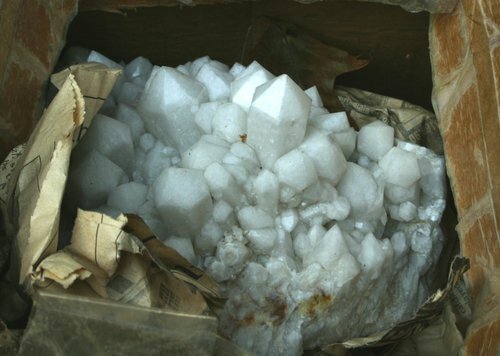 8" wide plate of milky quartz, owned by Paul Young. 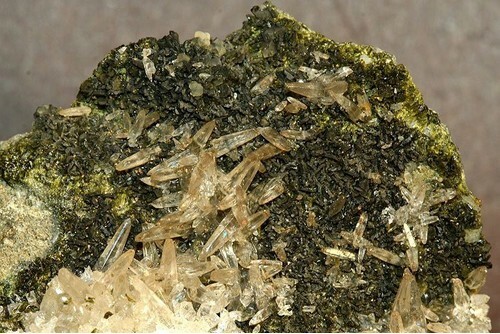 2 inch field of view; colorless rice-grain like crystals of calcite on matrix of drusy dark green epidote. 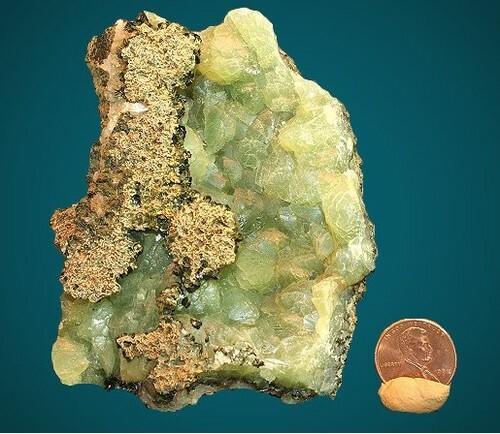 3" wide specimen of white satin luster calcite on matrix of pale green, gemmier datolite. 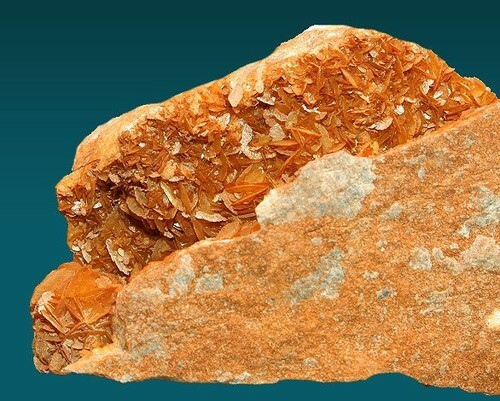 Calcite blades (copper colored due to iron staining) with small quartz crystals scattered. Field of view 3 inches. 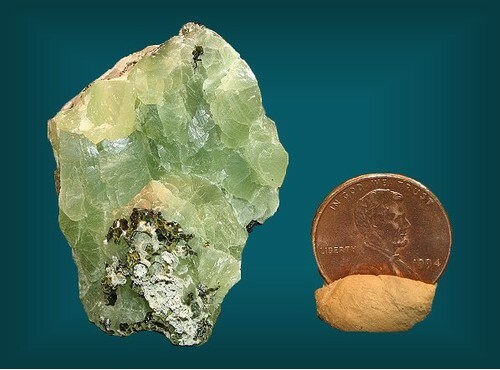 Apple green prehnite and tiny dark green blades of epidote. Specimen 6 cm wide. Apple green prehnite plate, 2 X 4 cm. 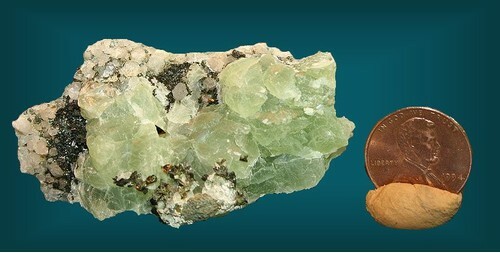 Plate of green prehnite from a narrow vein. Dark specks on plate are tiny epidote crystals. Specimen 8 X 10 cm. 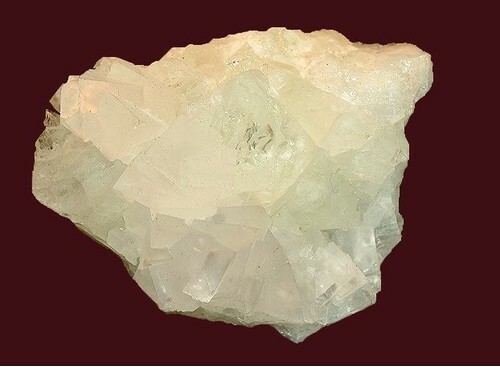 Matrix specimen of a small black terminated columbite crystal in creamy albite, self-collected. Specimen 2 cm wide. 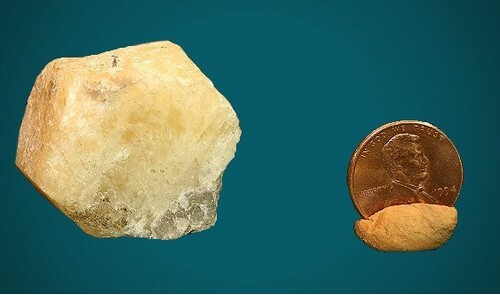 Cleavage from the termination of a yellowish beryl crystal. Specimen 4 cm wide. This was the stunning view as I arrived at the quarry. 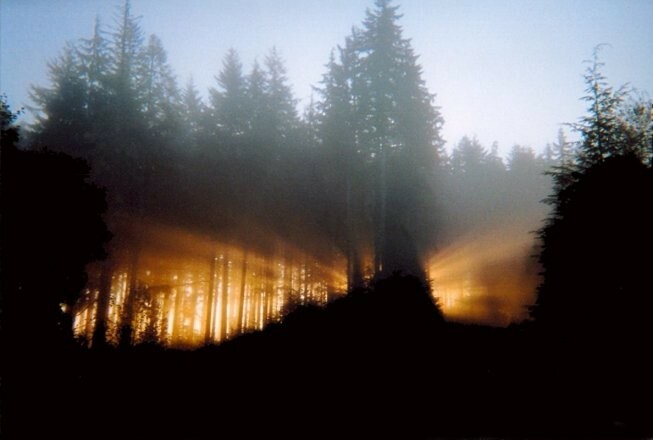 If Bigfoot lives anywhere, he likely saw the same thing. No rock in this view, but it illustrates the forest locale.